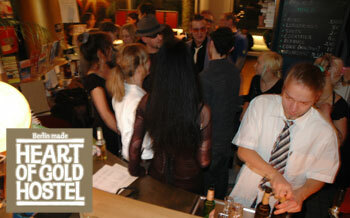 Welcome to the Heart of Gold Hostel Berlin! Stay at the best location – right in the centre, hopefully the sun will join us. Meet great staff and other travellers. Have a hot wine in the cold Biergarten and enjoy! 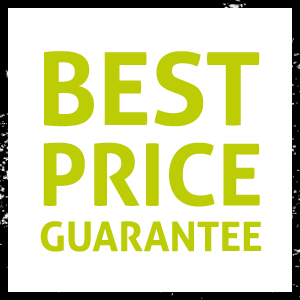 Make a direct booking here and see how much you save! Or see our FAQ for further reasons on why you should book directly with us. Your hostel in Berlin – it couldn’t be more central! Right in the center of Berlin, the Heart of Gold Hostel Berlin is the ideal base from which to explore the city. It’s budget accommodation with the friendliness of a hostel but the professionalism of a hotel, and an interior design inspired by the ‘Hitchhiker’s Guide to the Galaxy’ that will make you feel right at home. The historic center with many of Berlin’s most interesting sights are within walking distance, and the nightlife district full of bars and clubs is just around the corner. Make new friends from all around the world and meet real Berliners at reception, making your visit that much more worthwhile. Most of our services are free – including hot showers, towels, bedsheets, WiFi, guest kitchen, luggage storage, city maps and of course tips on where to go and what to do in Berlin. We even have a Biergarten set up during the summer months. Additional paid services include a breakfast-buffet from 8:00-12:00 and bike rental. You can also join a free (tip-based) walking tour, collecting from the hostel daily. For further info check out our FAQ, or, if you’ve heard enough, you can go ahead and look at out prices and availability.